WHAT IS THE PARAGARY RESTAURANT GROUP’S "IEAT REWARDS PROGRAM"? The iEat Rewards Program lets members earn dollar for dollar points (1 point=$1) and redeem those dollars for food and beverage at any Paragary Restaurant Group location*. AT WHICH PARAGARY RESTAURANT GROUP LOCATIONS CAN I EARN POINTS? 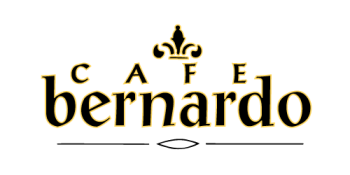 iEat Rewards members can earn points at ALL PRG locations: Cafe Bernardo (4 locations), Centro Cocina Mexicana, Esquire Grill, Paragary’s, Berkley Bar,R15 Bar, and Wiki Bar. PRG-affiliated brands at the Sacramento airport and the Golden 1 Arena are excluded from the iEat Rewards Program. It’s FREE to join the iEat Rewards Program. WHO CAN JOIN THE IEAT REWARDS PROGRAM? The iEat Rewards Program is for individual guests, 18 years of age or older. Points may not be credited to business entities. Employees of Paragary Restaurant Group are not eligible for membership. You must register your account online with a valid phone number so that phone number can be used to look up your account and earn or redeem points. You can also use that phone number to track your iEat Rewards Points. WILL I RECEIVE AN IEAT CARD? HOW DO I EARN IEAT REWARDS POINTS? To earn iEat Rewards Points, please give your server, cashier or bartender your registered phone number before your bill is settled. Points will post to your account the in 24 hours. You can also earn points for private dining, and take-out (does not apply for delivery services like Door Dash or Postmates). Only the member paying the bill is eligible to receive the points. Only one ieat account per check can redeem or earn points. Your account must be registered at least 24 hours before your visit to ensure your information processes before your transaction. Points cannot be added after a bill is paid. HOW DO I REDEEM MY IEAT REWARDS DOLLARS? When you reach 300 points, your account will automatically be credited with $20 iEat Rewards Dollars. To use iEat Rewards Dollars to pay for all or part of your meal, please give your registered phone number to your server/cashier/bartender before your bill is settled and let them know that you would like to use your iEat Rewards Dollars for payment. You will receive a receipt with the dollar amount used for that meal and your adjusted iEat Rewards Dollars balance. Please note that iEat Rewards Dollars cannot be redeemed for purchase of gift cards, private dining, or special promotions, and are not valid on New Year’s Eve, Valentine’s Day or Mother’s Day. DO MY IEAT REWARDS POINTS OR DOLLARS EXPIRE? iEat Rewards Dollars expire one year from date earned. iEat Rewards Dollars given for special promotions expire based on terms and conditions of offer. Accounts with no activity for two years will become inactive and all points will expire. WHAT IF I FORGOT MY LOGIN AND PASSWORD? Passwords can be recovered at paragarys.com/iEat. If you have forgotten your username, please email us at info@paragarys.com. Please include your account number or registered phone number. WHAT IF I FORGOT TO PROVIDE MY IEAT REWARDS INFORMATION WHILE DINING AT A PARAGARY RESTAURANT GROUP LOCATION? Unfortunately, you cannot earn points after the bill has been settled, due to the software limitations of the 3rd party platform operating the program. DO I EARN POINTS WHEN I DINE AND PAY WITH A GIFT CARD, DISCOUNT CARD, ETC? iEat Rewards Points cannot be earned on any food and beverages paid for with gift card, “Give” card, discount card, or donation certificate. DO I EARN POINTS WHEN PURCHASING GIFT CARDS? iEat Rewards Points cannot be earned when purchasing gift cards. DO I EARN POINTS ON TAX, GRATUITY, AND/OR AUTOMATIC SERVICE CHARGES? Points are earned on the guest check sub-total for food and beverage purchases only.